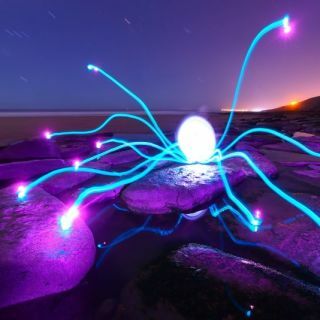 I'm a Light Painter based in Wales. Using a camera set to long exposure, I 'paint' the air with lights. Once complete, the image is projected for all to see. I invite people to be part of the scene while I paint around them. I also conduct workshops.